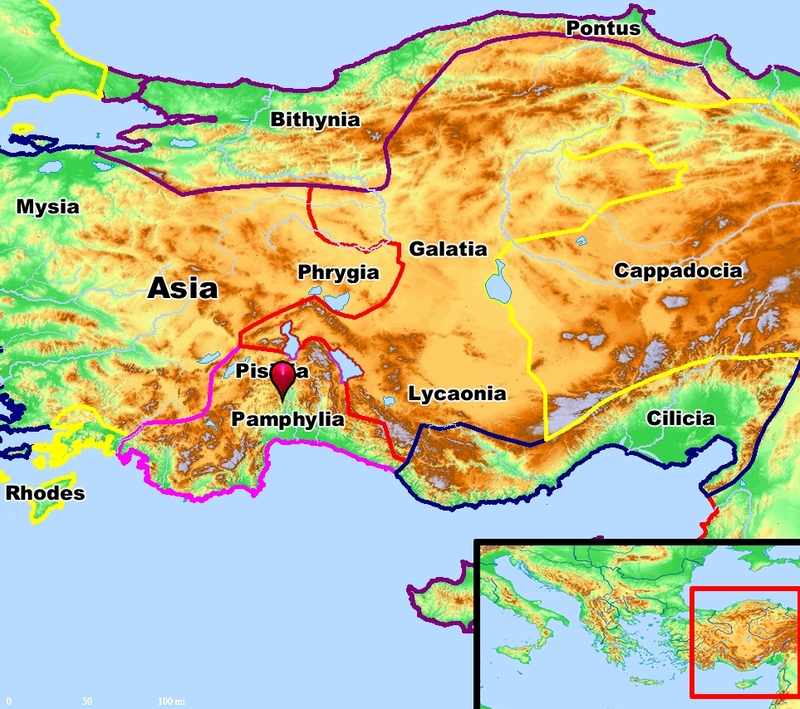 Region of Pamphylia. Map by BibleAtlas.com. Attalia, seaport for Pamphylia. Photo by BibleAtlas.com. Ferrell Jenkins and I have been in biblical Attalia, modern Antalya, and the greater Pamphylia area for the past couple of days as we have visited sites in Turkey. Notice the topography on the first map, and see as you leave the coastal area and go northward you run into the mountains, using Attalia and Perga in your second map as reference points. 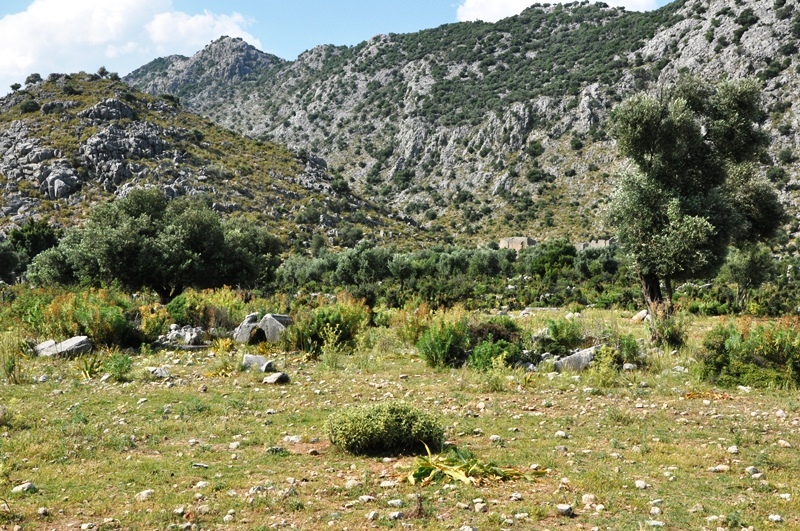 The plains of Pamphylia give way to the formidable terrain of the Taurus mountain range. Pamphylian Plain Ends at Taurus Mountains. Photo by Leon Mauldin. We spent some time exploring this area where a Roman Road cuts through the mountain pass. Dedicated men such as Paul and Barnabas had to negotiate through this type of terrain in their travels. 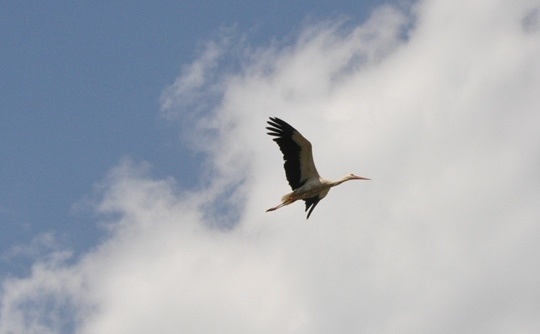 Stork in flight in Pamphylia. Photo ©Leon Mauldin. 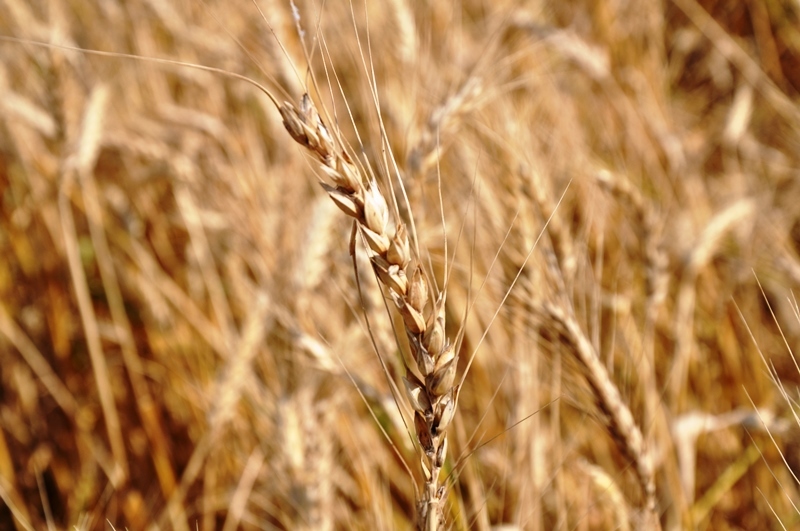 Barley in Pamphylia. Photo ©Leon Mauldin. Tonight we are north of biblical Hierapolis (mentioned in Colossians 4:13). En route here we saw Laodicea and Colossae. There is much to see at Hierapolis, and tomorrow we plan to explore and photograph in that area. Thanks for following along the journey. Much more to share as time permits. Mr. Jenkins and I are both well. There’s nothing quite like on-site Bible study! It’s truly a continuing education course for us. This entry was posted on Monday, May 26th, 2014 at 3:17 PM and is filed under Bible History and Geography, Bible Study, New Testament, Pamphylia, photography, Travel, Turkey. You can follow any responses to this entry through the RSS 2.0 feed. You can leave a response, or trackback from your own site. 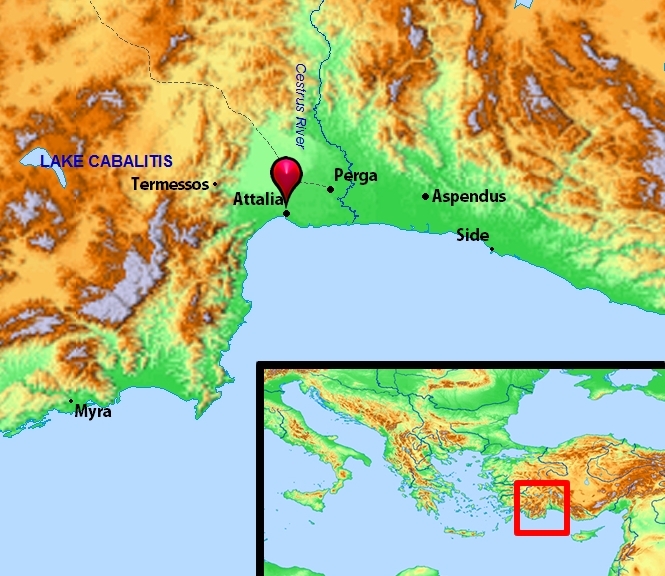 I have been studying the first Missionary Journey the last few weeks and have been wondering about the initial landing in Pamphylia. I had always thought it must have been at Attalia (since they left by that route) but bro. Jenkins blog from 2012 stated that they would have more likely gone upriver on a river called Cestrus. My question is, what is the modern day name of the Cestrus? Is it till in existence/navigable? Thanks for the update on your travels.